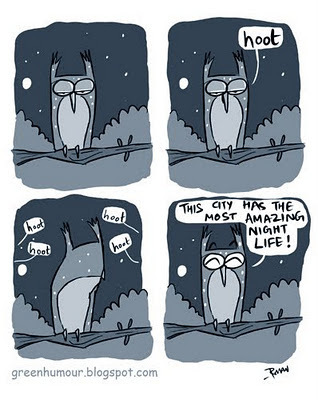 The 'hoot' has become the stereotype of owl vocalization. But what many of you may not know is that owls have a wide range of other calls as well, and are very communicative birds. There are firstly several types of hoots themselves. Owls may also chitter, squawk or hiss, depending on the mood of the bird. While the hoots are thought to signify territorial claims and greetings, the chitters are more of the conversational nature, hisses may denote agitation, and squawks are generally used as begging calls.